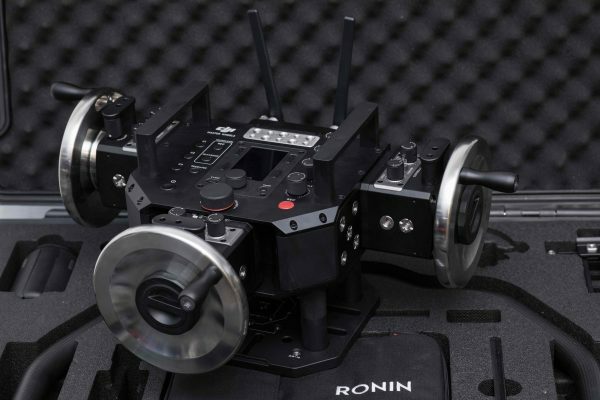 The DJI Master Wheels are a high-end cinematic control system for the Ronin 2, and upcoming Ronin-S. It’s still being tested for use with the Inspire 2, You may have never seen hand wheels in this age of remote controllers and touchscreen interfaces, but they have been around long before most of us were born. 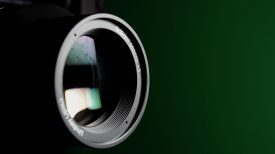 A lot of DPs and camera operators still prefer to use wheels so that they can achieve more tactile and organic camera movement. Joysticks and other electronic controllers can be fiddly to use and don’t always provide natural looking results. That’s why DJI have come up with their Master Wheels system. The Master Wheels don’t look like your typical DJI product. The Master Wheels controller is a big, heavy block of metal. Here at Newsshooter, we were lucky enough to get a sneak peek and some hands-on time with a prototype of the Master Wheels. If you haven’t used hand wheels before, they do take some getting used to. 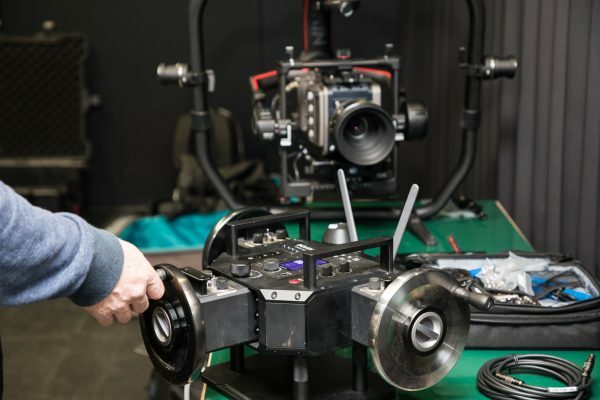 In a world where joysticks and remote controllers are common, younger DPs or camera operators may struggle at first to get their head around how they work. I quite like using wheels as I find they provide a more organic motion to your camera moves. 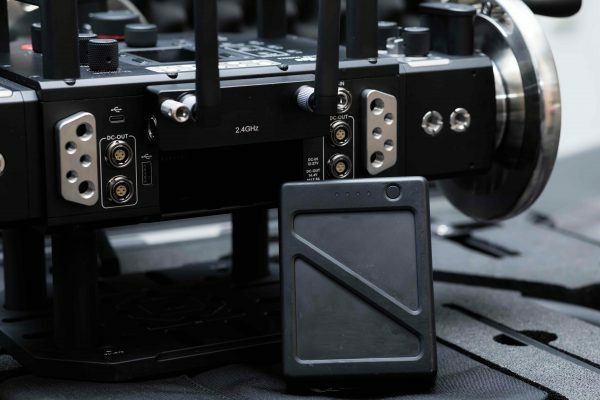 The Master Wheels are powered by the same batteries that DJI uses for the Inspire 2 and Ronin 2. I was told that a battery will power the Master Wheels system for up to 16 hours. 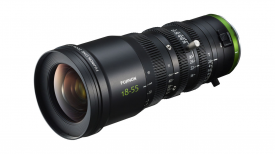 The Master Wheels can also provide power to other devices such as monitors or wireless video receivers. 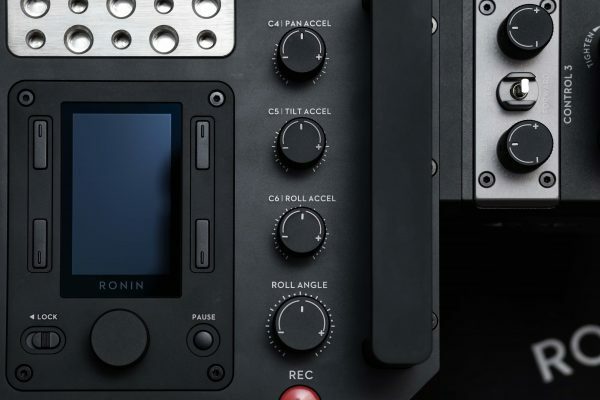 The DC-IN port allows a wired connection with the Ronin 2, lowering the latency as much as possible and directly takes power from the gimbal. 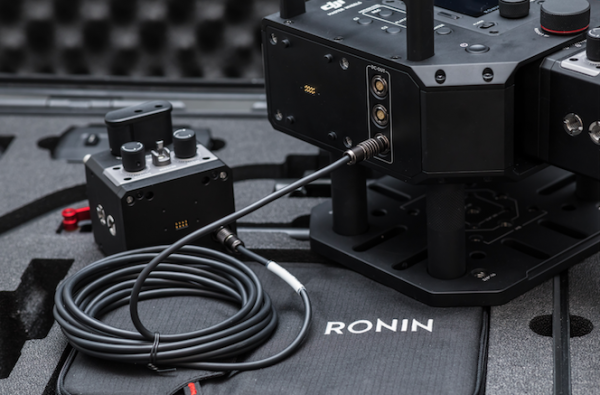 To communicate with the RONIN 2 or RONIN-S, the Master Wheels system uses Wi-Fi. 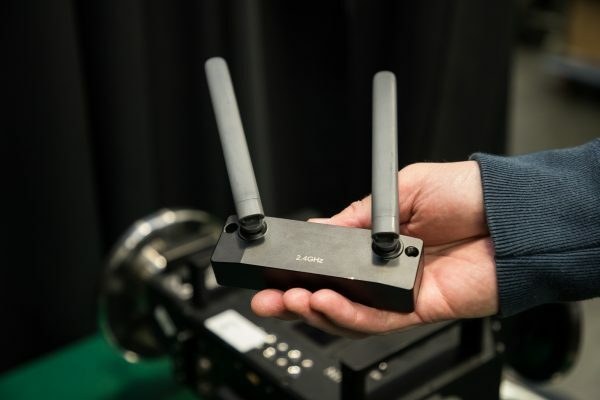 Users can choose and attach the wireless antenna module based off local regulations and specific performance requirements. The standard setup incorporates a 2.4/5.8 Ghz dual band antenna. 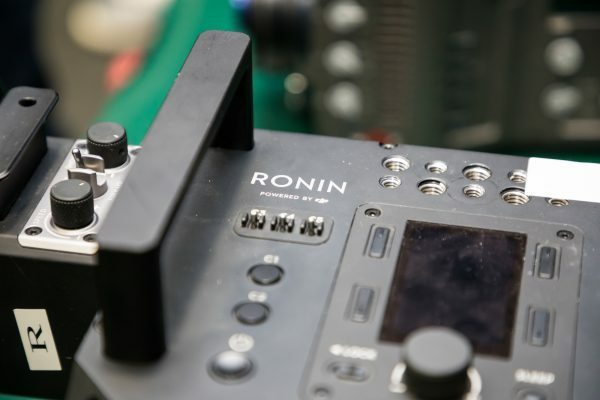 You will also be able to hard wire the Master Wheels directly to a Ronin 2 through a long extension cable. 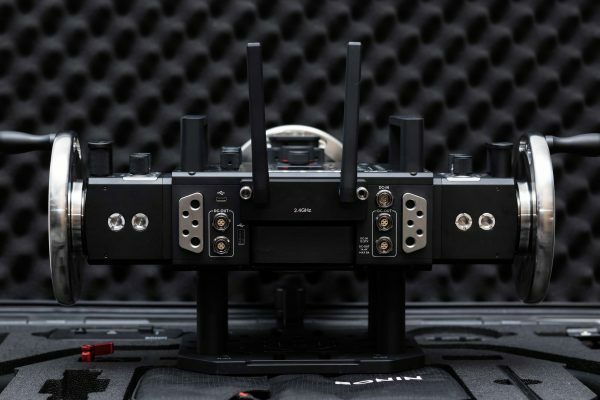 This is useful if you are working in an environment that has poor Wi-Fi, or when you want to mount the Ronin 2 on a car, crane, or jib etc. The Master Wheels we saw was still a prototype, but below you can see photos of how the final product will look and explanations as to what the controls do. On each of the hand wheel modules, there’s a friction adjustment knob built-in to allow instant friction adjustment without disturbing the wheel. Besides the wheel friction adjustment knob, there are dedicated speed and smoothing adjustment knobs for each individual axis, giving the full customization capability to the user. 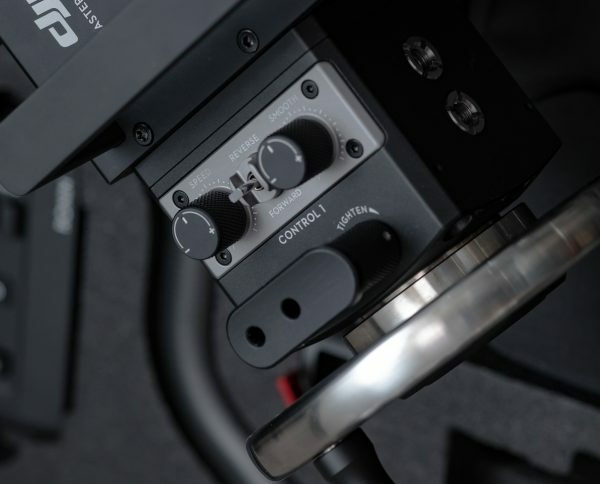 The 3-stop toggle in between the knobs can alter the gimbal movement direction or simply pause any data send-out when put to the middle position. Since the hand wheel module uses a detachable design, two pairs of 3/8 screw holes are allocated on the front and rear surface of the module to help users mount the module to any structure/cheese plate with ease. When detached, the hand wheel module communicates with the central control unit via DJI’s Push-n-Lock cables. 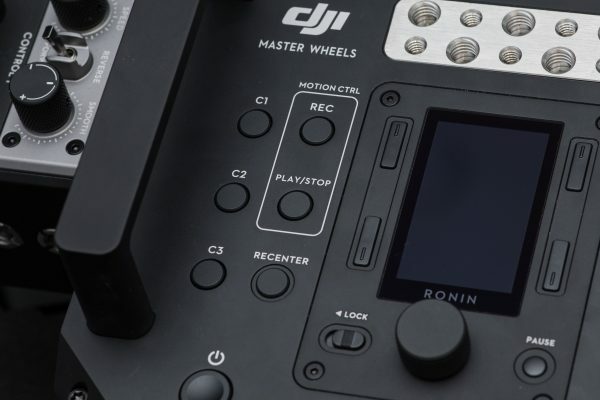 There are 3 customizable buttons on the center core of the DJI Master Wheels, allowing users to assign the most frequently used Ronin 2 and Master Wheels features. 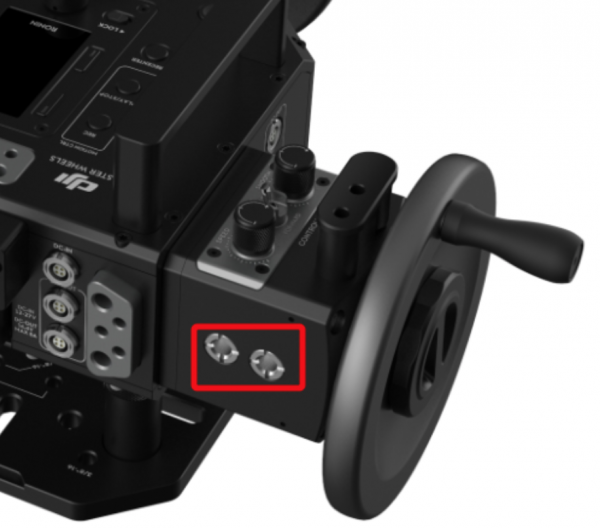 A motion control feature has also been added to the DJI Master Wheels. Upon pressing the REC button in the Motion CTRL area, the Master Wheels processing unit will record any motion data input by the user on a continuous timeline. 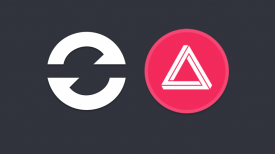 The Play/Stop button can get the Master Wheels to send out motion commands to repeat a perfectly timed gimbal move. On the right-hand side, there are three acceleration curve adjustment knobs to further fine tune the operation experience. 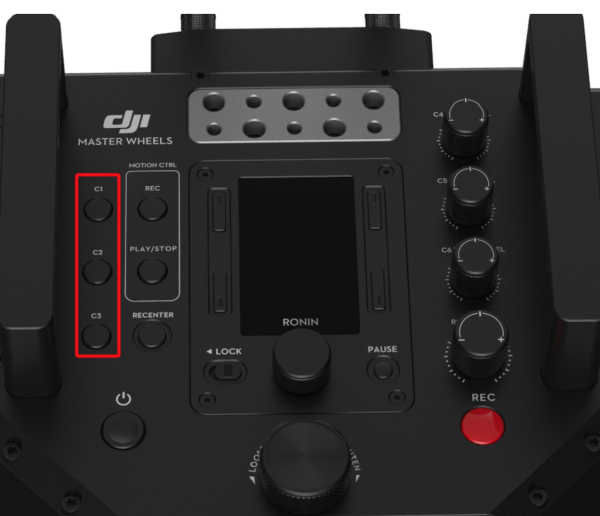 The DJI Master Wheels are certainly being targeted at high-level productions and not the prosumer market where most of their sales are made. The Master Wheels are not going to be cheap, and DJI has yet to set a price. I would, however, imagine that they will be significantly cheaper to other alternatives on the market that offer similar functionality. 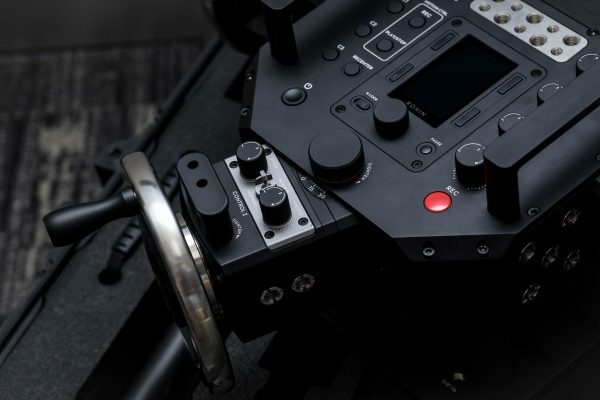 It’s good to see DJI starting to branch out and try their hand at making high-end cinematic tools. Let’s hope there is more to come. The DJI Master Wheels should be available in a few months time. Have you used wheels before? Do you prefer them over joystick or remote control units? Let us know in the comments section below.